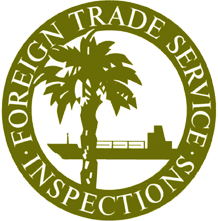 Foreign Trade Service investigates stored product infestations by insects, rodents and birds. We identify insects, hairs and other foreign objects found in foods. We provide both macroscopic and microscopic analysis for extraneous matter and light filth in food. Food supply shipments must adhere to quality standards before they are accepted. Our goal is to help assure that your food products remain insect-free and are of the quality that you expect.